The properties of crystals and their metaphysical attributes in this article specifically refer only to stones in the alphabetic group, for stones starting with H and I. To see which stones the information on this page covers, look at the photos of stones in the picture grid below. 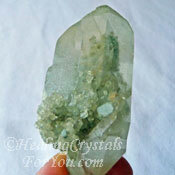 This shows images of the crystals that start with H or I that are covered on this site. Remember: any stone or word highlighted with a link takes you to another article on this site. 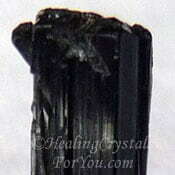 There are a good number of healing crystals for you to learn about that are in this alphabetic section. A great number have an article dedicated to the specific crystal. You can use any of these links below the pictures to take you to the specific article on that crystal. 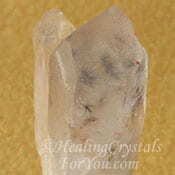 For the stones that start with H or I that have not yet had their individual page written, you will find a short summary or outline below of the properties of individual crystals in this group. To see which stones the information on this page covers, look at the stones in the photo grid below. If there is an in-depth article about any of these crystals on the grid, their name will be highlighted with a link. 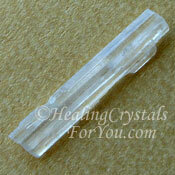 There is a list after the properties of crystals on this page that shows the chakras for specific H to I crystals. This table separates the stones into their specific groups by chakra, so it can be helpful to look at. This list that shows the chakra stones, which will help you to know which areas the crystal can help to heal, and there are also links taking you to information on specific chakras. 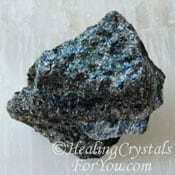 Hackmanite is a higher vibration variety of Sodalite stone, that assists you to access the higher mind, and brings through peace. It is excellent to help you to reach a deeper meditative state and may aid you to attain the state of what is known as nirvana. 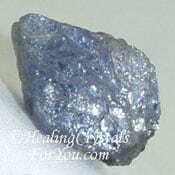 The properties of crystals like these, are similar to the Blue Sodalite. But its vibration is higher than the blue stone, as it resonates within both the third eye chakra and the crown chakra. These crystals have a good action to keep you connected to the earth. They will aid you to cut etheric cords, that connect you to people that are no longer desirable to have in your life. Hackmanite can aid with problem solving, and help you to break the issue down into smaller pieces. This helps you to more easily see the solution, and feel free to take action. It is known to be helpful to aid those who have addictions to substances, to feel less inclined to over-indulge. 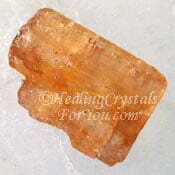 Halite comes in a range of colors, the most common being the blue, violet, pink, white and yellow. 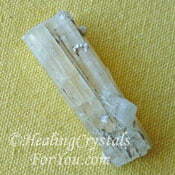 The Yellow Halite shown in this photo, is a strong stone to aid study as it helps you to retain what you are learning. It helps to protect you against psychic attack and helps you to release negative energy and entities that may be attached to you. All colors of these stones are basically made of salt, that is they are made from sodium chloride. Yet they have some interesting metaphysical qualities. The properties of crystals of different colors is not the same as each color has different qualities depending on the minerals included that create the various colors. Hambergite are actually very small and quite rare crystals, so note the picture has been enlarged so you can see it more clearly. A good stone to use for trance channeling. It can create a feeling of bliss which is known to help you to receive useful information. 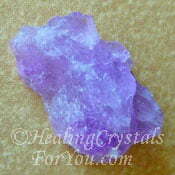 The properties of crystals such as these are excellent to stimulate you to take better care of your health. It is said to be useful to help a number of health problems, including issues in the eyes, and the heart when your pulse rate is too high. Also helpful to aid weight loss. 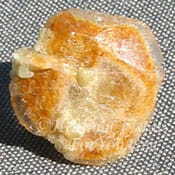 Hanksite is a mixture of borax and Halite and is a sodium chloride stone. 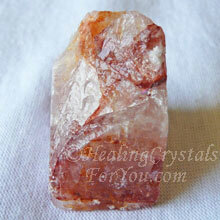 Many of the stone properties relate to the energy of Halite. 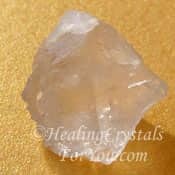 The resonance of Halite within these stones aids you to feel forgiveness, and may heal issues related to things that occurred in past lives. It has an excellent energy spiritually to aid you to access memories from past lives in Atlantis or Lemuria, and it may help you to understand how to utilize the information you gain. This is a useful healing stone that may enhance creativity, aids water retention and detoxification and can assist those breathing toxic air. It is a good psychic protection stone, and may prevent the attack of evil spirits. 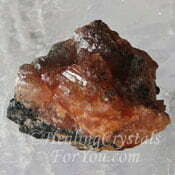 Harlequin Quartz is also known as Flame or Fire Quartz and as Agnitite. 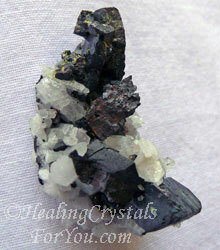 These crystals have inclusions of red Hematite or Lepidocrocite within the crystal, usually within clear quartz. 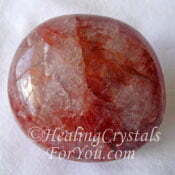 The hematite inclusions often occur as a line of red dots within clear quartz. Some crystals have more hematite than others, but in most pieces you can see areas where you the clear quartz is fairly obvious. The properties of crystals like these relates to how they effect your energy, and their role to stimulate spiritual growth. Depending on how you hold them, their energy will rise up the body to the crown and continue up into the soul star. Then the energy will move back down and spread throughout the whole body, continuing down through the entire body to the base chakra where they make a strong connection to the earth. They will make you feel more vital and more energized, as they have a strong stimulating vibration. 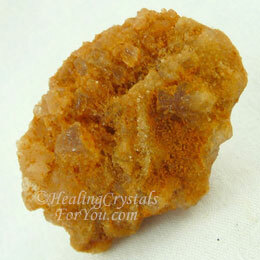 They are well known for their action to assist you if you are feeling lethargic or lacking energy. Harzburgite is a variety of Peridotite composed primarily of olivine and orthopyroxene with small amounts of spinel and garnet. The properties of crystals like these are thought provoking as the mix of various minerals within them may bring interesting results. The mineral Peridot is an excellent law of attraction stone, that brings the energy of happiness, clear thinking and embodies the frequency of increase. Like all green stones, including green Spinel, they have a good resonance within the heart chakra to stimulate love and kindness. 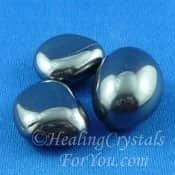 They may help to boost your energy and may assist the growth of psychic gifts that you are already developing, though it won't birth new gifts. Healers Gold is a strong stone to use for healing. 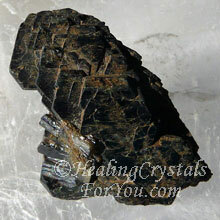 It is made up of a naturally occurring mixture of Magnetite and Pyrite. 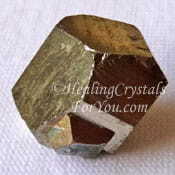 You can read more information about Iron Pyrite further down this page. While the stone properties of both of these are excellent in their own right, this combination has some excellent qualities. It is known to boost sluggish energy in the meridians and chakras. 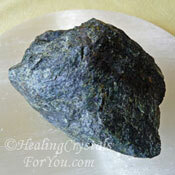 Using it will help you to feel energized, and it is excellent to aid your healing physically. 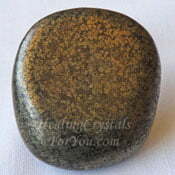 A great stone to combine with other stones to boost their energy. 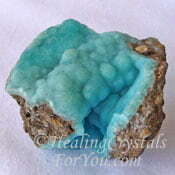 Hemimorphite may be colored White, Brown or Turquoise Blue, but the blue stone is the most common. All colors of this stone aid personal development of specific gifts, and help you to create your own reality. Although the properties of crystals that are different colors vary slightly, any color of this stone will aid you to raise your vibration and to communicate with those in the higher spiritual realms. 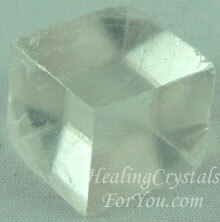 The white stones bring more light into your energetic body, and it emits light that will activate the higher chakras. 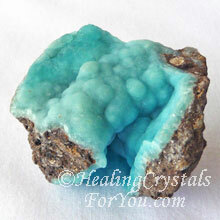 The vibration of Blue Hemimorphite works within the middle chakras, and specifically the throat, heart, thymus and third eye chakras. The brown stones also bring through more light which they ground into the physical body which helps you to raise your overall vibration. Hessonite Garnet is a member of the Grossular garnet family and the stone properties of both crystals are similar in many respects. Most Grossularite is greenish yellow, but the properties of crystals in the family all have similar properties with some differences. 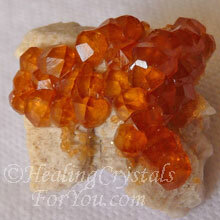 Due to the fact that it has a strong golden color Hessonite will resonate more strongly at both the solar plexus chakra as well as the heart and sacral chakra. 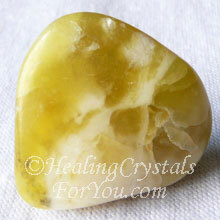 This is a stone of abundance and prosperity and may aid you to manifest money if that is what you require. It aids you to develop better intuition, and has a lovely energy that will help you to be more assertive with greater self confidence. 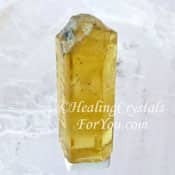 Himalayan Gold Quartz has a quite strong and beautiful energy and this relates to the vibration of the area of the Himalayan mountains where it originates. 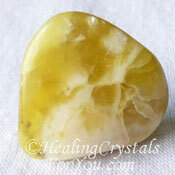 This is a stone that resonates strongly at the solar plexus and may help you to better utilize the power of your will, and may aid you to embrace your personal power. It is powerful to use in meditation, as it helps to bring through the golden light, and it strongly stimulates the higher chakras. 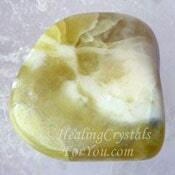 The golden light is a powerful spiritual energy, and this stone helps to bring that energy down through the soul star via the crown chakra to the third eye and into the rest of the body. This is a lovely stone that has been available for a long time, and in the last few years has been marketed as another variation of the Himalayan Gold name, at a higher price. Regardless of what you call it, the properties of crystals like these, whatever you choose to call them, relate to a powerful energy to aid your spiritual growth. 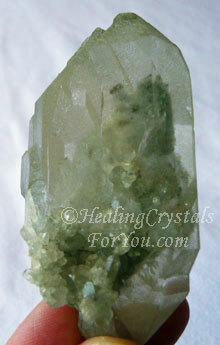 Himalayan Green Phantom Quartz is a type of chlorite quartz that comes from the Himalayan mountains. 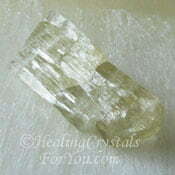 The addition of green chlorite within the stones gives them distinct stone properties. 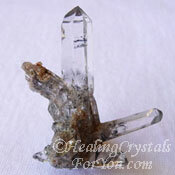 All Himalayan quartz crystals embody a unique vibration that relates to the mountainous region where they are found, see section on Himalayan Quartz. The properties of crystals like these are different to other varieties of quartz that are found in the same area, as their vibration is not the same. 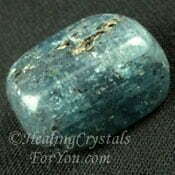 The chlorite in the stones aids them to be powerful for healing and for using for spiritual work. 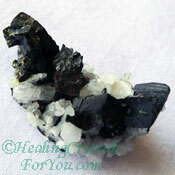 These crystals are excellent used in meditation to make contact with the angelic realm, and will help you to connect with angels and other beings in the higher realms. 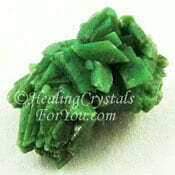 These green crystals are also said to aid manifestation. 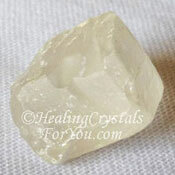 Himalayan Ice Calcite is also known as Angel Ray Calcite. This is a variety of calcite that is found in the Himalayan mountains in similar area to where Himalayan Ice quartz is found. These Calcite crystals are powerful stones to aid you to make contact with the angelic realms as they bring pure white light into the body via the higher chakras. The properties of crystals in the calcite family all relate to their action to increase and amplify energy, but clear calcite has a more powerful energy. They have a strong resonance at the crown chakra and may aid spiritual growth, by helping to clear negative energy from the auric field. Himalayan Quartz comes from the Himalayan Mountains along the India~Nepal border. Also called Alpine Quartz, it has a quite extraordinary vibration that brings through healing information from the shamanic healers who resided in those mountainous regions for centuries. The properties of crystals from this area, also relate to there action to energize the third eye chakra and stimulates psychic visionary ability to come through. They have an interesting vibration that affects ones ability to better understand healing lore, and to carry out healing using this information. 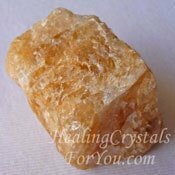 Honey Calcite brings through mental clarity and will also help you to ground assisting the base, sacral and solar plexus chakras. It assists you to see solutions to problems and to manifest your dreams. For anyone who needs to work long hours, it will give you the ability to 'stay the course'. 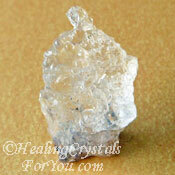 The properties of crystals like these have to do with their action to help you to overcome fear of taking action. They assist with lightbody manifestation as they filters light into the point within the body that requires healing at that time. 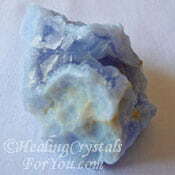 Holley Blue Agate is also known as Holley Blue Chalcedony. 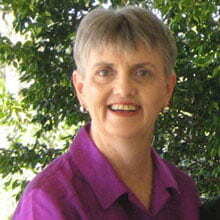 Its name relates to the location of Holley in Oregon, where it was found and named for. 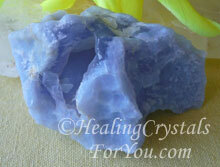 You will also see it selling as Holly Blue Agate or Holly Blue Chalcedony. Confused? Yes I know it can be tricky but they are the same stone. 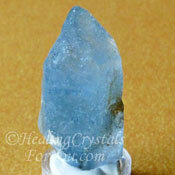 This crystal has a good energy at the throat chakra to improve communication. It helps to improve your judgment, as it works to remove conditions that cause your thinking to be misaligned with what you desire. 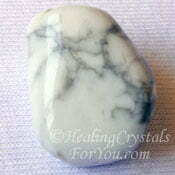 This stone is very useful for those doing spiritual or psychic work. The properties of crystals like these relate to their action to ease contact between this world and the spiritual realms. It is helpful to use in meditation to aid you to make contact with the angels and your spirit guides. 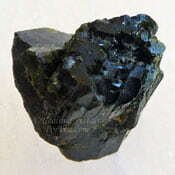 Hornblende can also be spelled Horneblende. This stone has been used since ancient times as part of traditional ceremonies among tribes in Africa, the Australian aboriginals and by the American Indians. It's vibration may enhance your creativity... especially for artists, and for writers it may boost your ability to express yourself clearly and precisely, and may help you to complete what you are working on. The properties of crystals like these also pertains to its action to stimulate the mind, and it may help you to think outside the square. It aids you when making plans and it will help you to stick with your work until you have finalized it. 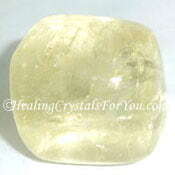 It brings a lovely energy to meditation, and may stimulate feelings of immense happiness, even bliss. It also has healing attributes, and is known to assist the body to assimilate vitamins and minerals. 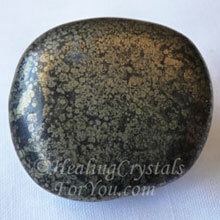 Hubnerite is a black or brown crystal, that is also spelled Huebnerite. It helps you to feel better physically, and aids a natural progression of healing. The properties of crystals like these also relate to their action to work within the crown and third eye chakras, to help you achieve clarity... and it may aid you to find solutions to problems. When used in meditation it may give you a deeper connection to Spirit. 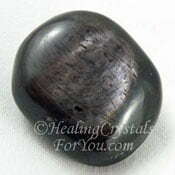 It may the development of written channeling and can stimulate psychic visions. It can help you to go very deep, and it may help you to release blocks that may stop you from being hypnotized. This aspect is useful if you have trouble allowing yourself to be hypnotized. It is commonly found inter-grown with clear quartz, and this is beneficial as the quartz helps to amplify this stones properties. Hyalite Opal is known to become fluorescent under UV light. 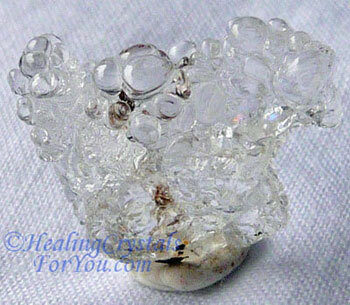 It is a colorless opal variety that has tiny bubbles all over it, that look like very little grapes. The properties of crystals like these relate to their ability to aid you to experience visions, and commonly are known to occur like a bright luminous tunnel opening before you. These visions may show you what you planned prior to being born, that you have forgotten now you are here. 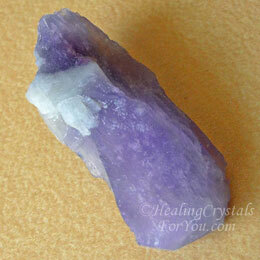 This is an excellent crystal to assist you to find greater clarity when you are studying. It has an unusual protective action, as it is known to assist you to somehow be warned about risky events that may occur, allowing you to avoid them. Iceland Spar was named for the location where it was originally discovered, but it has since been found in other locations. It is also known as Optical Calcite, and the properties of crystals like these do relate to their action to help your eyesight. They are wonderful crystals to aid clarity of thought, and they have a strong resonance within the higher chakras, particularly at the third eye and crown chakras. 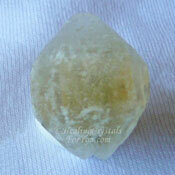 They are helpful to kindle clarity of thought, and are beneficial when placed on the third eye when you are meditating. 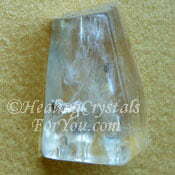 Used this way, Iceland Spar may help you to clearly see what is required in your life. 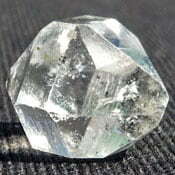 While this crystal was formerly only found in Iceland, other deposits have now been discovered elsewhere. It also now comes in a range of colors other than clear, due to included minerals, and there are many beautiful colored optical calcite varieties. 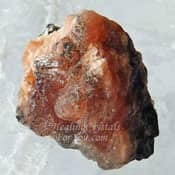 Inderite vibrates with a strong energy within the crown chakra, then it will go on to align all of the chakras, creating contentment and serenity. It is a wonderful stone to release you from the binds of fear caused by beliefs that you may no longer wish to be part of your life. In particular this refers to strict and orthodox outlooks that create rigidity, and may destroy your ability to be inventive and adventurous in life. 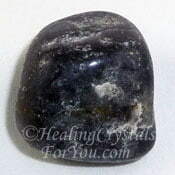 The properties of crystals of Inderite relate to its action to help you to find your own set of personal beliefs, your truth, and to do it calmly, but still feel free to take an adventurous path in a new and maybe different direction. It aids you to allow yourself to look into new ideas and find out what is right for you, without being stopped by the fear of past ideas and ideals, and it aids decision making. Its energy will also help you to let go of anger along with the fear, and to go forward with courage when facing new situations. It is a good stone to assist you to manage your money better, and use it more sparingly and so avoid debt. 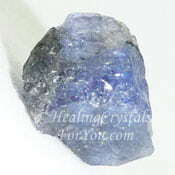 Iolite Sunstone is a mixture of metaphysical qualities of both Iolite and Sunstones. Thee are two types of this stone now, one that is a combined stone, like in the picture here. There is also a new type that was discovered recently and it clearly shows the two minerals which have with each other. Like Iolite Stones, see above, they have a strong vibration within the third eye chakra, and like Sunstones they bring joy and positive feelings. 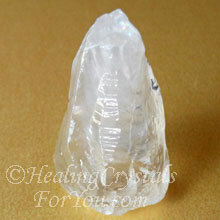 The properties of crystals apply to their powerful action to awaken psychic gifts, specifically the gift of prophecy. 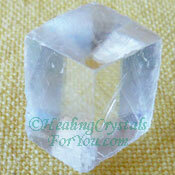 They may also help you to communicate more clearly with spirit guides. 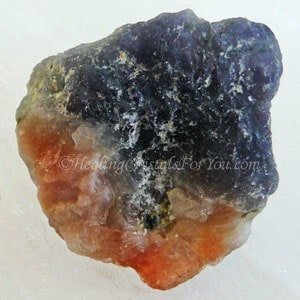 They embody many Iolite qualities, with the added energy from Sunstones that takes the energy down into the lower chakras, where you are able to ground these ideals into your physical existence. Iona Marble is said to come from a small Scottish island in the Hebrides, but these days the lovely stone may come from other parts of Scotland. This is an island that is a place of magic, and the properties of crystals from here is connected to the energy of the ancient druids who used the island for their ceremonies in the distant past. This use of the land embodied both the earth of the island and these stones with an energy that may aid the development of supernatural powers. 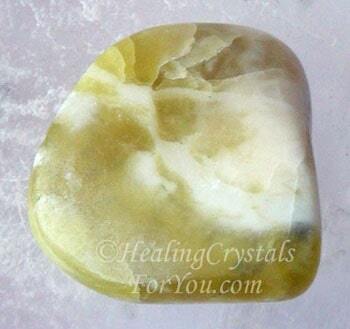 These yellowish-green and white stones are also said to have good healing attributes, and may aid healing of karmic issues related to Celtic past lives. The color of these stones, now commonly called Scottish Greenstone Marble, comes from Serpentine, which is naturally blended with the white marble of the area. Its gemstone meanings became more well known during the reign of Queen Victoria, when this stone became popular to make jewelry. Prior to that it was traditionally used as a talisman against shipwreck. Other uses have been as protection against fire, and to prevent miscarriage. The crystal books shown below are very in-depth crystal reference books. 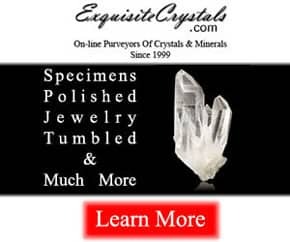 The authors of these books have been in the crystal industry for many years, and any one of their books are good to have on hand. Melody's Encyclopedia... Love Is In The Earth is a book that covers more than most. This book gives you so much information, and covers so many crystals that on its own is almost a reference library. For particulars relating to the actual chakras each specific stone will assist, please check out the chakra stone list below. Many stones or crystals will help to heal more than one area of the body or spirit, so they may be located within more than one chakra category in the table. If you want to read the information in the article for each chakra, you can simply click on the highlighted chakra name in the table, which will take you to that chakras page. 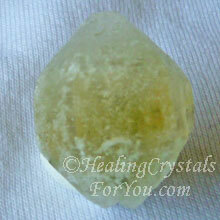 To read an overview of all the chakras and the crystals that relate to them, see the article on chakra stones. If you would like to discover more about what chakras are, there is an article that outlines the basics of the chakra meanings. If you wish to find out the meaning of stones that may interest you in another part of the alphabet... find out the meaning of stones in these categories by visiting the other A to Z pages. You can locate the full list of site pages by using the link to the site-map below to locate what you are looking for. Enjoy!